Your ushers can make or break your worship service. The difference between a grumpy, distracted, and untrained usher compared to a cheerful, engaged, and “serve you with a smile” usher is huge! I’ve always loved the usher team; it was one of my favorite ministries to lead. The usher’s role is so important but often undervalued, undertrained, and less than organized. Your ushers are a tremendous force in setting the tone for worship and helping to prepare the people to hear and respond to the Word of God. This post is adapted from a portion of our Usher Training Manual. If you would like the full usher training manual (free) click here. An usher is a spiritual ambassador for your church – God’s ordained and organized body of believers. Each usher serves as a “first representative” of Jesus Christ for a worship service. Though we all love the creative edge of our worship services, make no mistake, this is a holy event where God is meeting with His people. From the tabernacle in the Old Testament to the temple and synagogue in the New Testament, God’s presence and the teaching of His word is of supreme importance. Who Can Serve as an Usher? 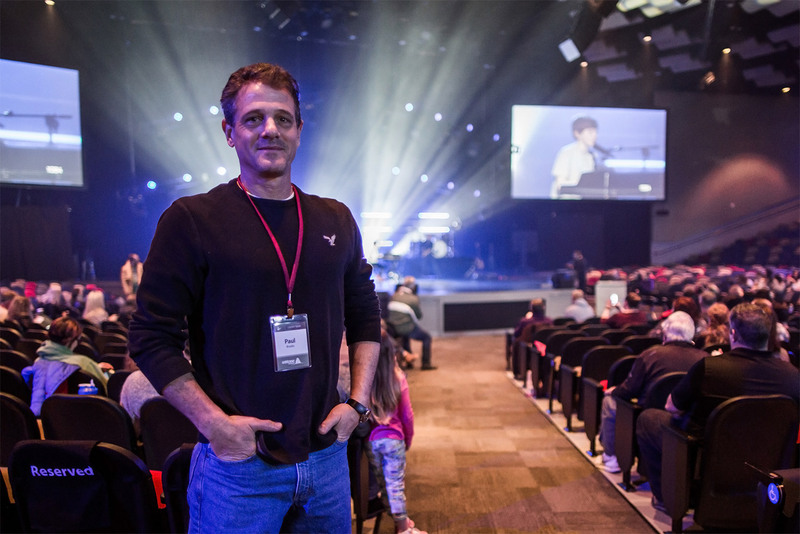 Not just anyone can be an usher, in the same way, that not just anyone can be on the worship team, work in children’s ministry or lead a small group. The right gifts, passion, and ability make a big difference. The fruit of the Spirit found in Galatians 5:22-23 is a solid guideline for a good usher. The point is not about perfection, but a heartfelt motive and desire to live a life of a spirit-filled believer. You understand the vital role of the usher ministry. You enjoy and care about people. You possess a servant’s heart. You are committed to the vision of your church. You are supportive of the leadership at your church. This is not to be seen as a duty, but a privilege to connect with God as part of your preparation. Don’t feel like this requires an hour of Bible study before you show up. God is far more interested in the commitment of your heart than the amount of your time. Take a few moments at home to connect with God and ask Him to use you as a representative of His love and an agent of His redemptive plan. The cardinal sin of an usher is not to pay attention. At all times watch what is going on in your section and jump in to handle it. If you aren’t sure what to do, ask your team leader. The only wrong choice is to do nothing. Never assume “someone” else is taking care of the need. Pay attention, take the initiative, and make it happen!! Absorb the pressure of the moment, don’t transfer it. Most of the ministry of an usher is pure joy. Seriously, it’s a lot of fun. But on occasion, there are moments of pressure when someone is upset, or something isn’t working right. In these moments never transfer the pressure to the person entering into their worship experience. You are the leader. You absorb the pressure. Get help if you need it, but never make the issue their problem. You help deliver a solution. Own your section, lead your section, shepherd your section. In an average environment with average ushers, once the seats are filled the ushers relax and mentally check out. As leaders, the ushers are empowered to take ownership of the section of seats they serve in and give leadership where needed. Each usher should do everything in their power to ensure that the people have the best opportunity possible to connect with and hear from God. Each usher can shepherd the people by getting to know them, praying for them, learning their names, and meeting appropriate needs. Follow the direction of your head usher. All good leaders are good followers. Click To Tweet It is important that each usher follows the leadership of the team leader. Be supportive and encouraging. Offer suggestions if you have good ideas, but don’t be overly sensitive if your ideas aren’t used. Your head usher will do his or her best to serve and lead you and the rest of their team well. Help people find a seat. This seems obvious, but there is an art to it. The art is all about making people, especially new people and people far from God, feel comfortable. Their insecurities can rise, and their feelings of self-consciousness prevent them from connecting with God. Imagine what it feels like to walk into an unfamiliar restaurant or other environment and not know what to do. Do I seat myself or do I wait to be seated? The usher’s job is to move toward and engage people quickly and with the confidence to help them know what to do. Click To Tweet Don’t leave people hanging. Let them know that you can handle anything they need and that you are the one that can make this a smooth and enjoyable experience. Don’t make them come to you and ask. You approach them with confidence and a smile. Take charge with grace and poise. On a spiritual level, the offering is part of worship. It is the opportunity for worshippers to express their love, trust, and obedience toward God. On a practical level, the financial needs of a large church are significant. Your smooth and coordinated execution of an offering can and does impact the resources that fund the Kingdom. On a security level, this is one of the most detailed functions of an usher. The ushers need to be trained in the actual physical process for receiving an offering in a live service. The ushers need to receive detailed training that will help us ensure compliance with legal guidelines and practical security issues. Assist in the execution of special moments. Many churches are known for creativity in their worship services. From motorcycles to doughnuts, to tractors and bottles of soda, you just never know what may be coming down the aisles! Some of the special moments are fun, some are crazy, and some are deeply spiritual. Things like crossing a bridge, writing in journals, or taking communion. The service of an usher is crucial to these moments being leveraged toward life-change. The service depends on your flexibility. Don’t get flustered when last minute changes are made. That will happen. Just keep positive, stay flexible and know that creativity is at work to help people connect with and hear from God. Get an accurate people count. Why does this matter? Why must these numbers be so accurate? Why can’t we just make a good estimate? The answer is that every number represents a person. We want to be good stewards of all that God has entrusted to us, and therefore it matters that we know how well we are reaching people. Just like in the book of Acts, they counted, recorded, and celebrated how many people were saved. Your church counts too! Reset and clean up the auditorium. People will leave papers, cups and “stuff” behind. The glamorous part of an usher’s ministry is cleaning up after each service. Also, supplies such as Bibles and pens are replenished. Remember, many hands make light work. If all ushers jump in and help, it takes just a few minutes. Maintain proper appearance and personal hygiene. Read the bulletin – get informed, stay informed. You will probably not be required to usher every Sunday, but when you are on the schedule, give it 100%. If you are on the schedule and can’t make it, be sure to call and let your team leader know. Don’t just no show. People are counting on you. Smile, talk to people, and learn their names! !